Drawing on the Irish proverb, Ar Scáth a Chéile a Mhaireann na Daoine – these fourteen stories by acclaimed Irish writer Éilis Ní Dhuibhne draw us into the lives of characters who are caught in a moment of crisis. Forced to confront choices they have made and the legacies of the past, their stories speak of hard-won experience, of regret and loss, of knowledge and sometimes painful illumination. The Shelter of Neighbours is a powerful reminder that good stories reveal deep emotional and psychological truths that have the power to unsettle, provoke and move us. 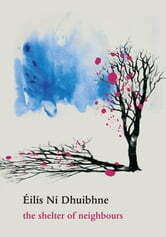 If you enjoyed The Shelter of Neighbours, you might also enjoy Eílís Ní Dhuibhne’s novels The Dancers Dancing and Fox, Swallow, Scarecrow.